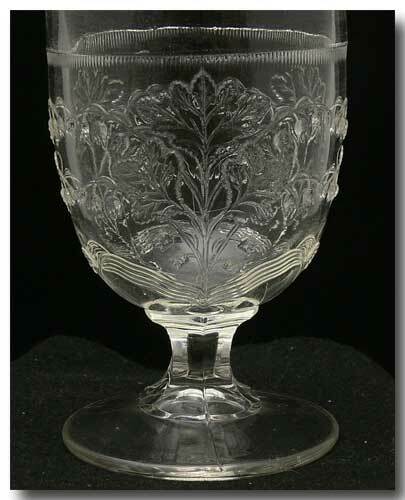 A clear, pressed glass spoonholder in the “Lily Of The Valley” pattern. 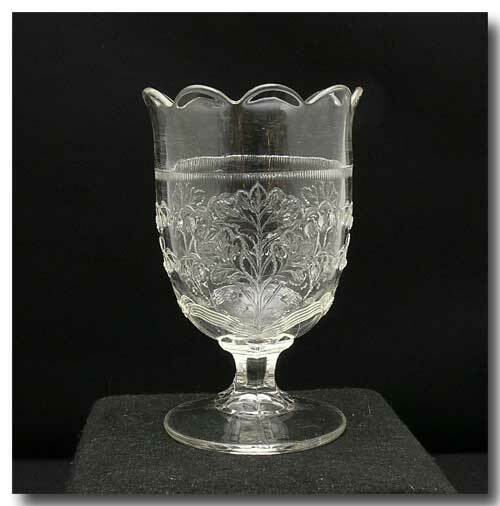 Non-flint glass of the 1870’s. Pedestal base with a scalloped rim. Made by the Boston & Sandwich Glass Co. and King & Son, Pittsburgh. Shards have been found at the Burlington Glass Co. Pattern has never been reproduced. Excellent condition. Approx. height 5.5 inches.